F&H Mine Supply, Inc has serviced the Troy, Montana area for approximately 20 years under the faithful management of Jerry Davis by providing industrial and mining products to the Asarco mine which was purchase by Revett and now owned by Hecla Mining. Hecla was established in 1891 and owns two silver mines in Alaska and Idaho and a gold mine in Quebec Canada. 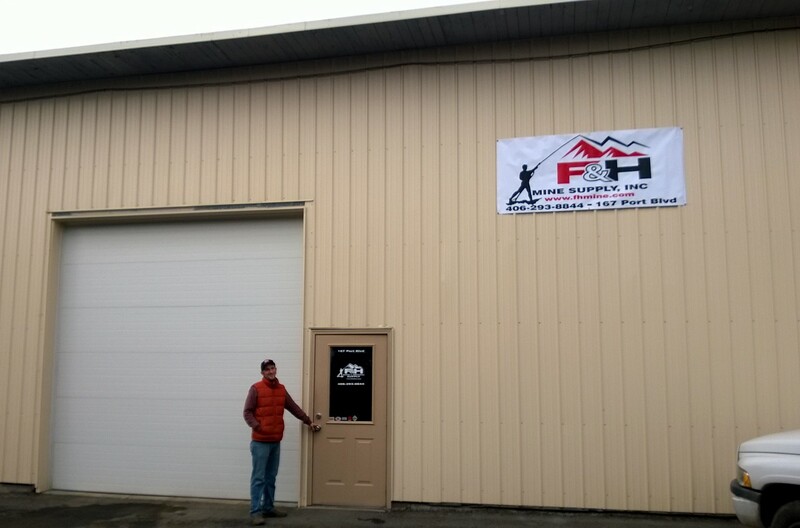 For years F&H has had a good business relationship with the Troy mine and with the remediation of the Troy mine and the future prospect of the development of the Rock Creek project, F&H has decided to move their warehouse from the Troy location to the business industrial park in Libby, Montana. This new location is a good sized warehouse and puts F&H in a nice location for future business. F&H Mine Supply, Inc has access to thousands of products covering mining, construction, agricultural and many other industries which includes tools, equipment, bits, steel, ground support, environmental, hose, piping, led lighting, pumps, safety gear, industrial heating and ventilation and much more which can be seen at www.fhmine.com. Come visit our new location at 167 Port Blvd in Libby, next to Thompson Contracting, Inc.